Throw in some accapella as well. Past appearances on PBS-TV, Atlantic City, Madison Sq. Garden, Westbury Music Fair, Izod Center,NJ Performing Art Center, American Music Theater, Cruise Ship "Theme Cruises" etal. We provide either a 3 piece 4 or 5 piece band along with the 4 vocalists, in addition to our own sound system as needed. It was a pleasure working with The Devotions! As a fellow event entertainer, it's always nice to work with professionals that appreciate, and engage in, the teamwork mentality. They sounded great, and did a fantastic job keeping everyone dancing. 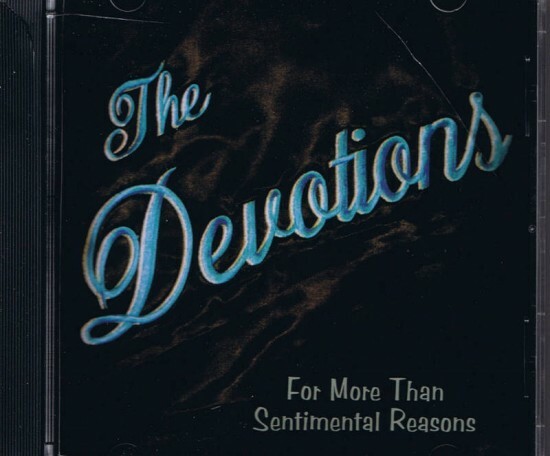 The Devotions were the only group that we listened to their music more than once. When we heard their sound, we knew that they were the band that we wanted to play at our party. It was a pleasure doing business with them and I knew that we made the right choice from the moment that we booked them for our special occasion. Our theme was the 60's and you cannot find a band and vocalists that can put you on memory lane as soon as they begin to play as quickly as the Devotions begin to to sing. They were the highlight of our celebration and each and every one of our guests raved about their music. They had the entire room up on their feet dancing to all of the oldies. They were able to take us back to our high school prom and they have the ability to erase reality as they played their song list and they have you travel back in time. If you want to have the most successful event, hire the Devotions and they will make certain that your are totally satisfied and your affair will be the "talk of the town"! They are truly talented and you will be thrilled that The Devotions are capable of creating a fabulous ambiance. I could go on and on, but I am certain that you can tell how happy we were with their entertainment. The Devotions are the ones to book as they are the very best. Just wanted to know if any of you guys remember performing at a record store called Ross Radio in 1961 on 82nd street in Jackson Heights.My dad owned the store,and I went to work with him that day.I was 14 and I couldn't wait to get back to Lindenhurst and tell my friends about you guys! !Long live rock and roll!!!! Not sure of the exact date!! The Devotions, vocal harmony singing group & band. "Sentimental Reasons", "Sunday Kind of Love", "Snow White", "Zindy Lu", and "Rip Van Winkle" #3 on the Bill Board Charts in 1964. More recently the group has released two new songs "Everyone Sings" and "How Do You Speak To An Angel". 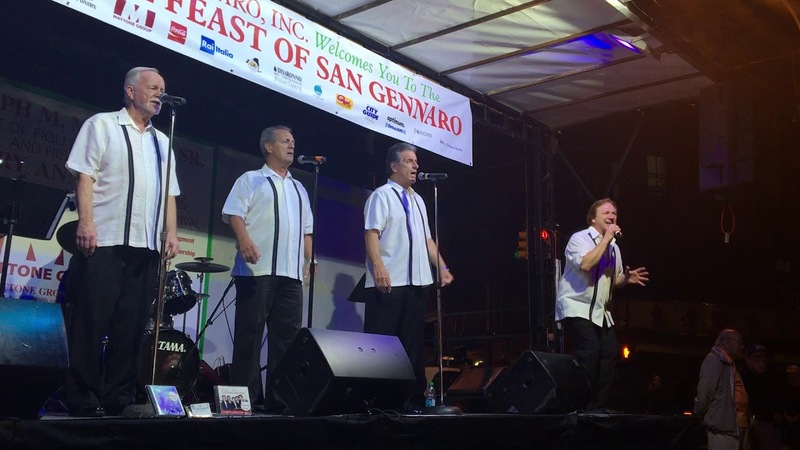 LarryGalvin (baritone), Neil Keeffe (2nd tenor) originally from Astoria, as well as, John Williams (1st tenor) from Ridgewood and Jim Bense (formerly from Randy & Rainbows as well as, Kenny Vance & Planatones), from Oceanside, round out the group today. 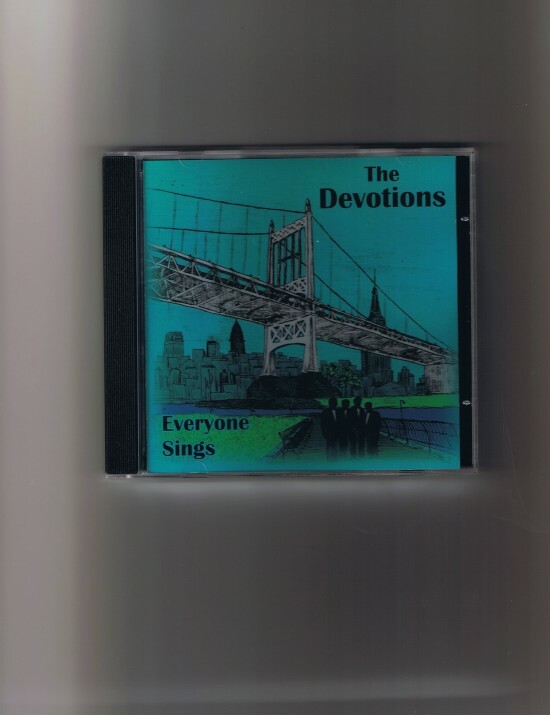 The Devotions are a totally self contained vocal group & band and have continually performed throughout the New York metropolitan area. Including such venues as Atlantic City Casinos, Radio City Music Hall, Madison Sq. Garden, Westbury Music Fair, Izod Center, NJ Performing Art Center, theme party Cruise Ships and have appeared in PBS-TV specials. 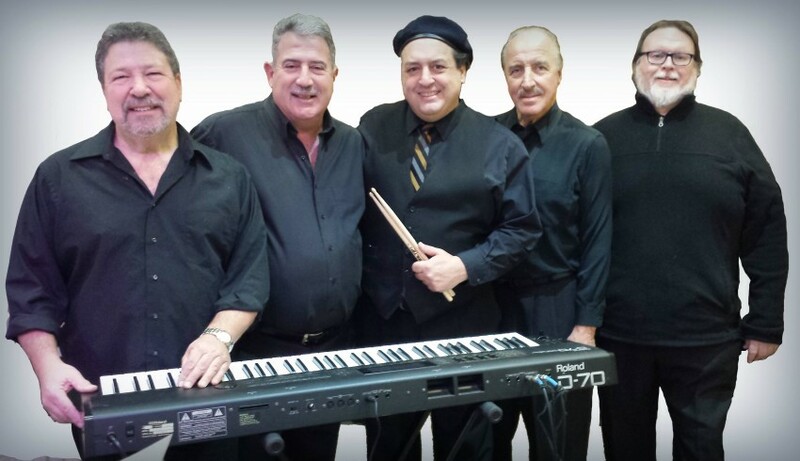 We can provide all of the musical needs at your Public, Private or Corporate Event. The group is widely known for their multifaceted music abilities.